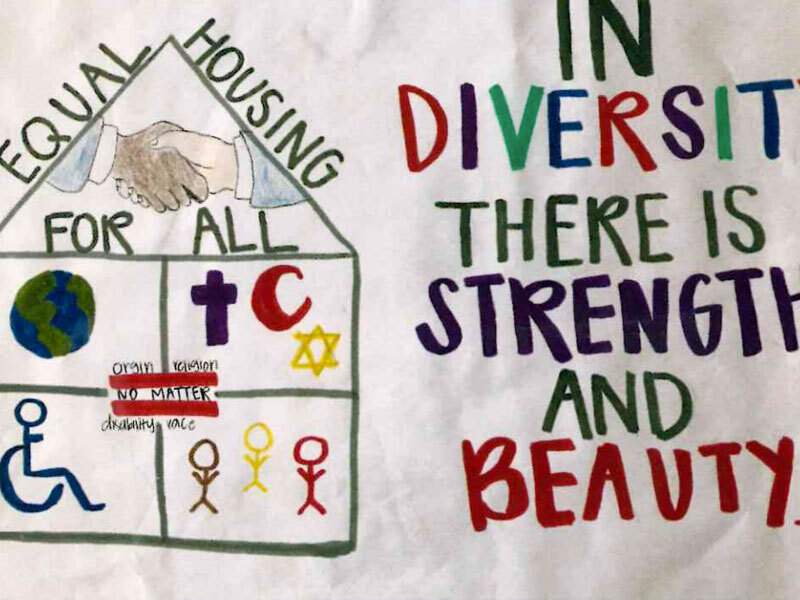 Youth residing in HAND member properties are eligible to participate each year in the Annual Children’s Art Contest. This year’s theme was “Fair Housing for All” and our young artists each submitted their interpretations of understanding, acceptance, and appreciation for the diversity in their neighborhoods, Due to the generous support of Enterprise, Fatmata and Tiwalade will each receive a $300 cash prize, along with a 173-piece Art & Creativity Set featuring a variety of mediums. Humphrey Management will receive $200 to host a pizza party for the students participating in their resident services program. The Runner Ups each received a certificate and $25 Gift Card. At Humphrey Management, our overarching goal is to create a thriving, vibrant environment for our residents, our team members, and our communities at-large. We do this by partnering with community organizations that help us achieve this objective. At Overland Gardens, we partner with City Gate to help enrich the lives of our residents. For 17 years, City Gate has worked in underserved neighborhoods to open doors of opportunity, empowerment, and friendship for children and families, to provide the resources and multifaceted support to help advance their lives. City Gate’s Overland Gardens Out-of-School-Time program provides a safe, structured and engaging environment for children after school and during summer. It is a busy, lively space where our residents’ children learn and cultivate character qualities to last a lifetime. The children benefit from homework help, academic enrichment, STEM (Science, Technology, Engineering, Math) projects, and snacks, plus periodic assistance of volunteers from all over the country. Whether it is increasing reading comprehension or a focus on pillars of character, each child is encouraged to progress on a path of personal development. During the summer, children benefit from an expanded 6-8 week, full-day schedule, which includes nutritious breakfasts and lunches. This model summer program expands horizons through field trips, service learning, varied enrichment activities, sports, and fun. In addition, City Gate impacts resident services year round by coordinating special holiday and outreach events to distribute school supplies, Christmas gifts, and food baskets.